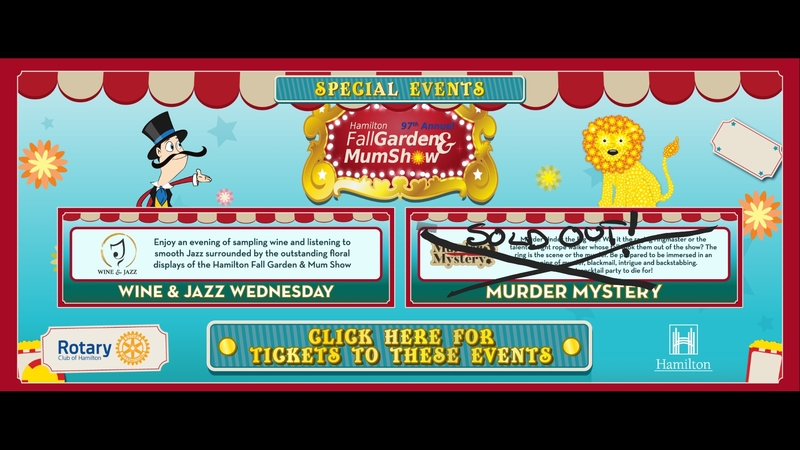 Advance tickets are required for the following special events at the Hamilton Fall Garden & Mum Show. Event tickets include general admission to the show plus the special event taking place at the Gage Park Greenhouse. Enjoy an evening of sampling wine and listening to smooth Jazz surrounded by the outstanding floral displays of the Hamilton Fall Garden & Mum Show. Our wine expect will provide samples and tasting information for the sample wines. A cash bar will be available to purchase additional wine or beer during the event. There are no refunds on special event tickets. However you can be an amazing friend and give your tickets to a friend or family member. They will love you forever.